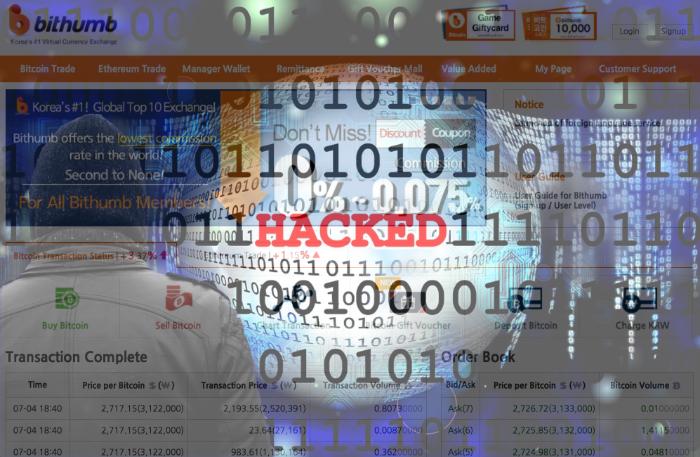 Bithumb, the fourth largest Bitcoin exchange in the world was recently hacked resulting in Billions of Won being stolen. According to the Korean Internet & Security Agency (KISA), earlier this year personal computers owned by staff at the exchange were infiltrated by an unknown 3rd party. Personal information was exploited by the hackers to obtain access to more than 3,000 individual accounts. Servers located at Bithumb’s headquarters were not comprised. Bithumb is South Korea’s largest virtual currency exchange, with annual transactions worth hundreds of billions of won. The cumulative amount of Bitcoin traded at Bithumb last year reached over 2 trillion won. 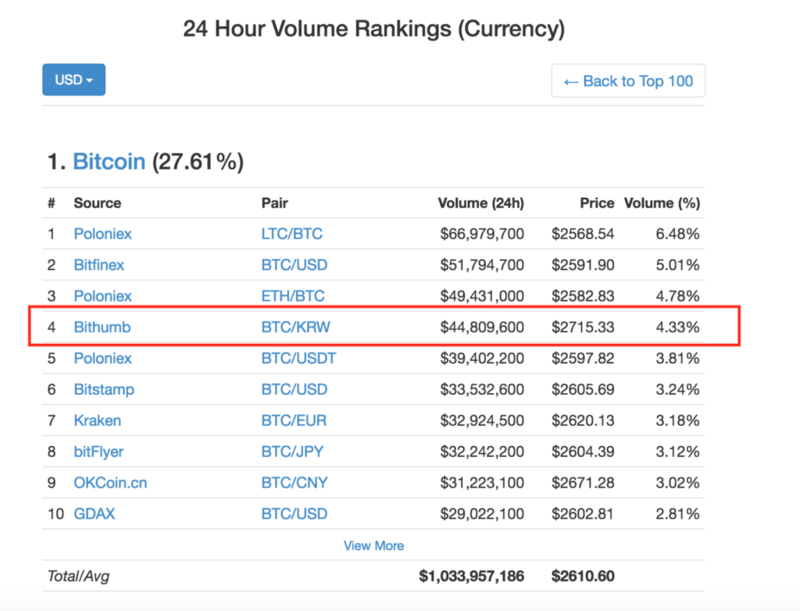 Bithumb’s 24 hour trading volume on the 4th of July exceeded 100,000 Bitcoin. On June 29th 2017 Bithumb was made aware of the hack and subsequently reported it to the authorities a day later. At the time of writing hundreds of Bithumb customers no longer have access to their funds and have filed a complaint with the National Police Agency’s cybercrime report center. Bithumb have promised to compensate its users for loss of personal information amounting to $870 per user (despite losses exceeding this amount), although the company is still investigating and has also hinted at further damages being announced. Once made aware of the issue the exchange acted quickly in reporting to three government and state agencies. It is still unclear how widespread the damage is. Due to the laws surrounding Bitcoin and digital currencies in the country it is not yet known if Bithumb will be facing any criminal charges.